Delegate Aisha Braveboy (D, Prince George's County) has called for a review of speed cameras used by the Town of Morningside and is sponsoring legislation which would audit speed camera programs, according to a report by WTOP. "The vendor has obviously had issues in another jurisdiction, and if Brekford continues unchecked, this is going to be a problem for Morningside. It's incumbent upon Morningside to hold their vendor accountable. We have to demand accuracy," says Braveboy. "Morningside is running the risk of having additional tickets throw out. I think that's a problem for them, for Brekford and the integrity of all speed cameras. Out of fairness to everyone, having an independent study done would probably yield results that people would be more comfortable with." Delegate Braveboy is the representative for Morningside's legislative district and is a candidate for Maryland Attorney General. Braveboy has sponsored a bill entitled House Bill 662. 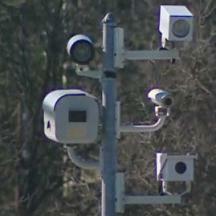 The bill would require speed camera programs to turn over copies of their annual calibration certificates to the state. It also says that the governor "may" require a local jurisdiction to obtain an independent audit of their program. The bill falls short of requiring audits of all local speed camera program, since it only says the state "may" require an audit speed of a camera programs. And while it requires disclosure of annual calibration records, it does not clearly state whether any other sorts of verification for accuracy would be included in such an audit. The bill also does not require daily calibration records, a requirement of the law, to be produced to the state. It is unclear whether the bill would involve prior year's records, or whether local governments would have time to "get their house in order" before being audited or having to produce records. A recently leaked "secret" audit of Baltimore City's speed camera program were found to have a ten percent error, Forty times greater than the rate of errors the city had previously claimed, DESPITE the fact that Baltimore's cameras had passed calibration tests, even on the very day a stationary car was ticketed. Baltimore's former contractor cited external phenomenon they refer to as "radar effects", which can affect any radar system regardless of whether it is "calibrated". Morninside denied a Public Information Act Request which we had made in June of 2013 asking for copies of calibration records. "Please be advised that the Town of Morningside is not the speed monitoring system operator as that term is defined in the Maryland Annotated Code, and, therefore, the Town of Morningside does not maintain the records and documents pursuant to your request." wrote the town's attorney. State law requires calibration records to be "kept on file". The Maryland Drivers Alliance Chairman has filed for Judicial Review in Prince George's County Circuit Court over this denial. That case is still pending. Delegate Jon Cardin (D, Baltimore County, who is also running for Attorney General) has also made calls for a audits of speed camera programs. Cardin told the Baltimore Sun “Now that we know error rates in Baltimore City were actually over 10%, it is time to seriously evaluate the future of these programs statewide. Until we can audit each program and have the ability to hold jurisdictions and speed camera operators accountable, I think we should suspend the use of speed cameras entirely.” WUSA9 reported on Cardin's proposed legislation which would fine speed camera contractors ban payments to speed camera contractors based on the number of tickets, and require speed camera citations to provide enough information to verify speed based on the distance traveled between images. While some local governments have claimed there is no need for outside audits, the mayor of Annapolis stated that he had no problem with submitting that city's cameras to an audit. Others have argued that the SHA's program should be audited as well, since an audit performed in 2012 had uncovered prior problems.